Thinking of moving to southern Minnesota? 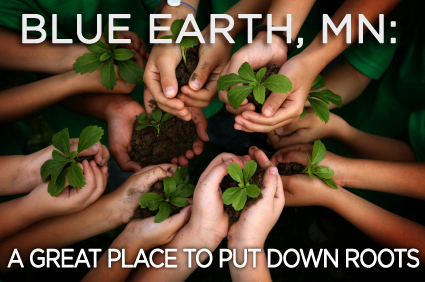 Why not consider making Blue Earth your home. Graceful Victorian homes, tree-lined boulevards and new housing developments await your move. There are three banks in Blue Earth, ready to serve your banking and mortgage needs. Several ATM machines are available throughout the community. Our many fine stores, restaurants, service businesses and agencies look forward to serving you. Take time to explore Blue Earth and all it has too offer.